How Do Community Banks Differ from Big-Box Commercial Banks? If you launch a business of any kind, you’ll need to establish an ongoing relationship with some type of bank. But with nearly 5,000 financial institutions to choose from, where do you start? You could set up an account with the closest bank in your neighborhood. In fact, many budding entrepreneurs do exactly that. If you later discover that your bank doesn’t offer the full range of services you need (at rates you can afford), you may have to select another financial institution. 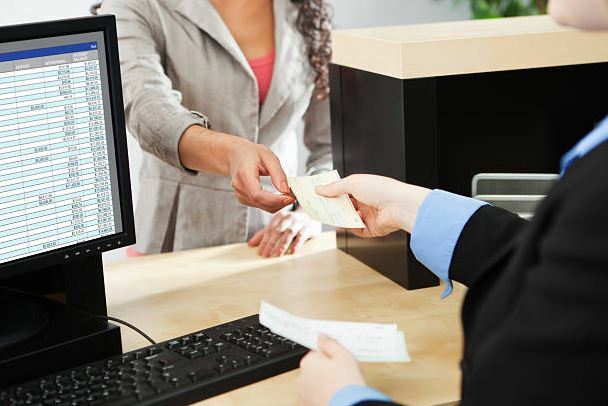 The switching costs can be quite high — especially if your payment processing, accounting software and tax documentation are all tied to the original bank. So, there’s a lot of pressure to choose the right financial institution in the early stages. But, again, how do you choose from a sea of nearly 5,000 banking options? A useful starting point is to limit your search to community versus commercial banks. This article explores some of the key differences between these competing options, and outlines the relative pros and cons of both. Commercial (aka big-box) banks tend to be household names with nationwide reach. Think Wells Fargo, Chase and PNC. These banks operate nationally, so they’re subject to federal interstate banking regulations. Historically, there’s also been a mandated separation between the investment and banking arms of these financial institutions. Arguably the biggest defining feature of commercial banks is ownership. These financial institutions exist to generate profits for shareholders on Wall Street. Almost by definition, community banks are not household names. That’s because they operate locally, usually within the jurisdiction of a single state. As such, they’re not subject to the same interstate banking regulations. However, some community banks join nationwide networks with other local financial institutions to provide their customers with broader coverage. Like their commercial counterparts, community banks also exist to generate profits. The owners are usually local, as are their employees and customers. Commercial banks have greater equity and can afford to lend larger amounts to their customers. In theory, this also means they can explore riskier investments that community banks cannot. They also provide better IT infrastructure and online access, which can be very important if you want to integrate things such as e-commerce shopping carts, accounting software or CRM tools. Even though they have greater resources, larger banks are often less willing to work with smaller businesses. They prefer servicing the needs of major players. Receiving personalized attention can also be more difficult with commercial banks. You might apply for a loan at one branch, but the ultimate decision-maker could be on the other side of the country — assuming the decision-maker is even human. Individual attention may be lacking at commercial banks, but this type of service is precisely where community banks thrive. Because these smaller financial institutions operate locally, you can meet face to face with all employees, managers and decision-makers. In fact, it’s not uncommon for customers to develop personal relationships with their local banking staff. That’s kind of the point. These banks exist to help spur local development, so establishing relationships with area businesses and residents is an essential part of this process. Those savings might be offset if you pay fees when using your ATM card out of network. You also won’t have access to as many freebies, resources or services since local banks operate with smaller budgets and a more limited scope. Which Banking Option Is Right for Your Business Needs? As the only endorsed merchant processing solution by the American Bankers Association, BluePay is the expert in delivering secure payment processing and award-winning customer service to community banks and their commercial customers.